Most of us can list off our favourites foods, but can you think of your favourite food bloggers? If you’re as fanatic about food as we are, you’ve probably got at least a few. Here are ten food bloggers you should be following. Founded by three hungry foodies, @tastetoronto was originally founded to connect food enthusiasts all over T.O. and to promote and recommend the best local restaurants and dishes available. Having taken Instagram by storm, the company has since expanded and includes a Montreal based account also. Check them out for all sorts of mouth watering images. Lady Cakes is the hilarious alter ego of Denver food blogger Ashlae W., and @ohladycakes is the account chronicling her culinary experiences. Along with her Instagram page, Ashlae manages an amazing website where she posts all her original recipes and treats us to her tasty life. Take a peek at her reading list if you want to brush up on your food facts. Austin is one of our favourite food cities and @loveandlemons is part of the reason why. Believe us, even after only a quick glance at her Instagram page, you will be frothing at the mouth. There’s also a pretty good chance you’ve seen her work before, whether that be in Barnes & Noble or on Amazon. Her cookbook can be found all over the place. @sliceofpai is a monument to magnificent munchies and was actually nominated for “Best Food Instagram” by Saveur. It isn’t hard to tell why. Scrolling through her library, one can see how much time and effort has gone into it. It captures an otherworldly side of food, so we hope you can cast your vote for her today. The City of Brotherly Love should be renamed the City of Really Good Grub! Or at least that’s what we tell ourselves a few minutes into the @phillyfoodies Instagram page. The brainchild of Mollie Dronson, this account won’t wow you with meticulously staged photographs, but it will leave you hungrier than you were before. What started off as a friendship in Florida has since become a thing of beauty in Atlanta, Georgia. @hungrygirlsdoitbetter is brought to you by two best friends who seek out adventure, whether that be edible or not. Follow them for good times, great eats, and some pretty funny captions. There is so much amazing food coming out of Minneapolis it can be tough to properly document, but @eatdrinkdishmpls has done one hell of a job. Don’t take our word for it; for three years running this account has received top honours in City Pages Reader’s Choice Best Instagram. Keep up the great work Golnaz! Erin Ireland is one of the Pacific Northwest’s patron saints when it comes to cuisine. If nothing else, she’s at least a local legend in the Vancouver food scene. Owner/operator of To Die For Fine Foods (a purveyor of top-notch banana bread and lemon loaf), prolific food blogger and past participant at TEDx Vancouver, she’s as passionate a foodie as they come. Order now from To Die For Fine Foods! @wholelivinglauren is obsessed with plant based recipes, nutritious foods and promoting a well balanced life. No surprise that’s she’s gotten us hooked! Make sure to check out her website for a ton of awesome recipes and other info. Capping off our list is Jessica Merchant’s @howsweeteats, a wonderful food blogger out of Pittsburgh, Pennsylvania. Regularly posting recipes on her website, we can hardly keep up with all her awesome creations. That’s it for our favourite food bloggers! Make sure to support them by hitting that follow button. 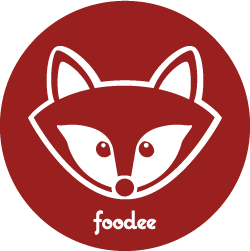 We’ve got lots of great content on the Foodee blog. Click here to read more!